The TurboTax Blog > Tax Tips > Need more time to file your 2009 taxes? Not a problem – file an extension. Need more time to file your 2009 taxes? Not a problem – file an extension. There are just about 2 weeks left to get your 2009 taxes done. If you are one the millions of taxpayers who are procrastinating, like me and the residents of Houston (who topped this year’s list of the Top 10 Tax Procrastinating Cities), don’t worry. According to the IRS, about 20% of taxpayers wait until the last 2 weeks to file (that’s tomorrow!) and 10 million will file for an extension. Don’t panic though. If you just can’t make that deadline, or the dog ate your W-2, you can file an Extention (form 4868), which gives you another 6-months, until October 15th, to file your taxes. You don’t even need to provide an explanation, so there’s no need to blame poor Fido. Print and mail. Taxpayers looking to file an extension for free can go to IRS.gov and print out and mail in the necessary forms. The big benefit of filing online is the ability to e-file, which gives you confirmation that the IRS has accepted your extension and allows you make any payments due easily online. Sorry…if you owe, you still need to pay. Remember that while an extension does give you until October 15, 2010 to file your taxes, it is not an extension to pay if you owe taxes. 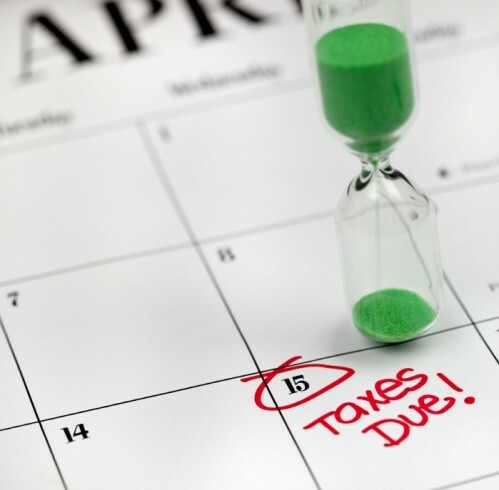 You must make any payments due by the April 15th deadline or the IRS will charge interest and penalties for late payments. I never filed my 2009 tax return, I did 2010 & 2011 but left to the forgotten mind of mine 2009. Is there any hope? Am I doom for eternity? I am freaking out right now I don’t know what to do. I call the IRS and there is no tax I owe but of course 2009 was never filed. Please any advice – big hugs. Unfortunately an extension to file is not an extension to pay your tax liability. When you file for extension you are supposed to pay what you owe. If you wait to pay with your extended tax return you will incur penalties and interest. You could file your taxes on time and request an installment plan from the IRS or try and pay a portion of what you owe and request a payment plan on the balance. With a payment plan you would still incur some penalties and interest but maybe not as much. I lost the Tan Extension Confirmation Number, how can I go about finding it. We are getting rebates from both federal and state. What do I do. Please help! I’d like to extend my winter into your vacation! I’d like to extend my thanks to this awesome community! Is the irony lost on everybody that this contest even got an extension? I’ll email you with your winnings. I would extend childhood for everyone! You’re only young once, why not make it longer!! Other than a tax extension, I’d also love an extension on weekends and sleeping hours! I would like an extension on College Football season, aka No BCS and a Playoff system. Thanks for participating today! You’ve won – I will reach out via email to share your winnings with you. Other than an extension on taxes, wouldn’t it be great to be able to extend a vacation for another week? Or if I could dream…a whole month. I would sure be rested and relaxed after that! I’d love to extend my winter vacation. It’s waaaaay too cold in Michigan during the winter. I would love to be able to extend a nice day. Even 6 hours instead of 6 months, it would be perfect. Could catch up on all of those things that never seem to get done!